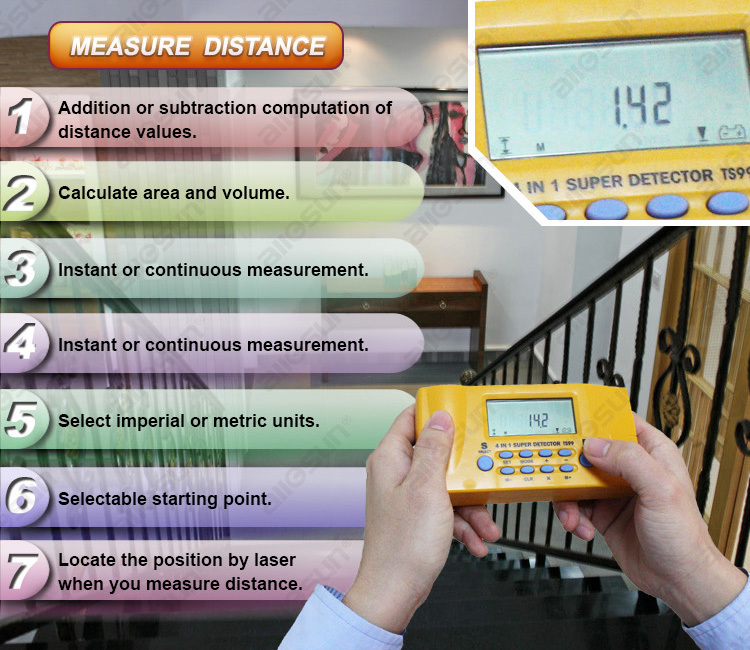 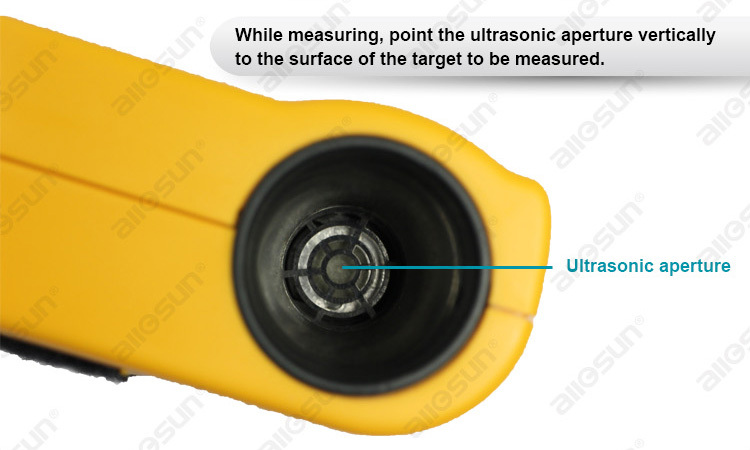 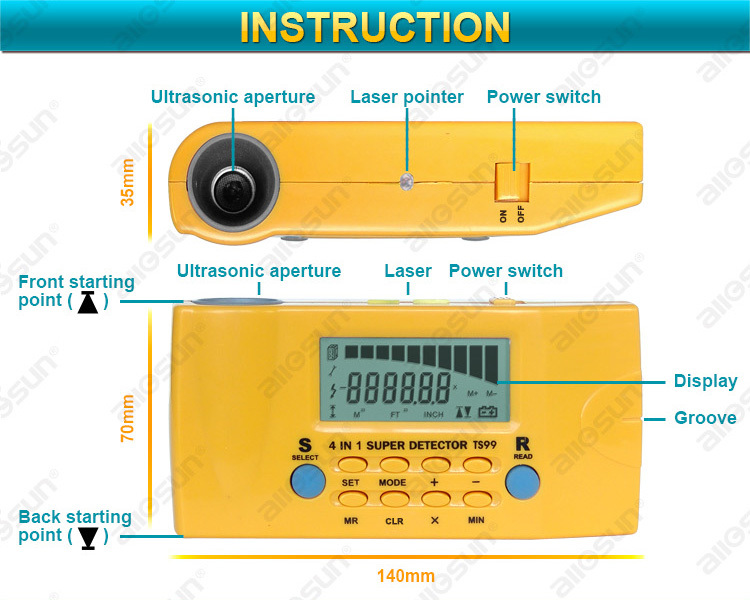 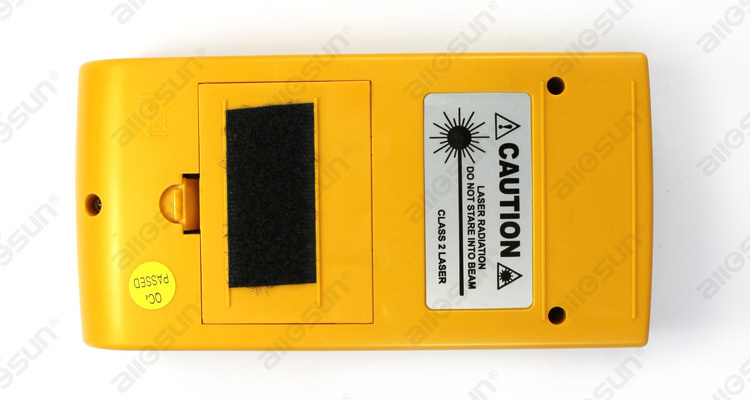 This detector adopts the technology of ultrasonic and can measure distance, area and volume. 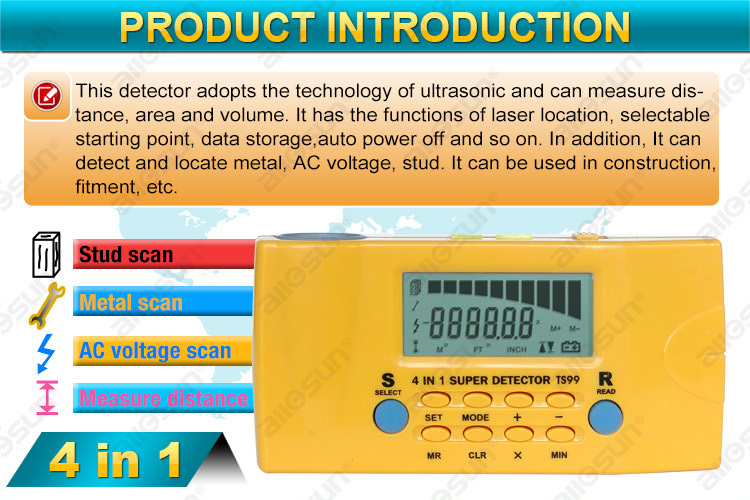 It has the functions of laser location, selectable starting point, data storage, auto power off and so on. 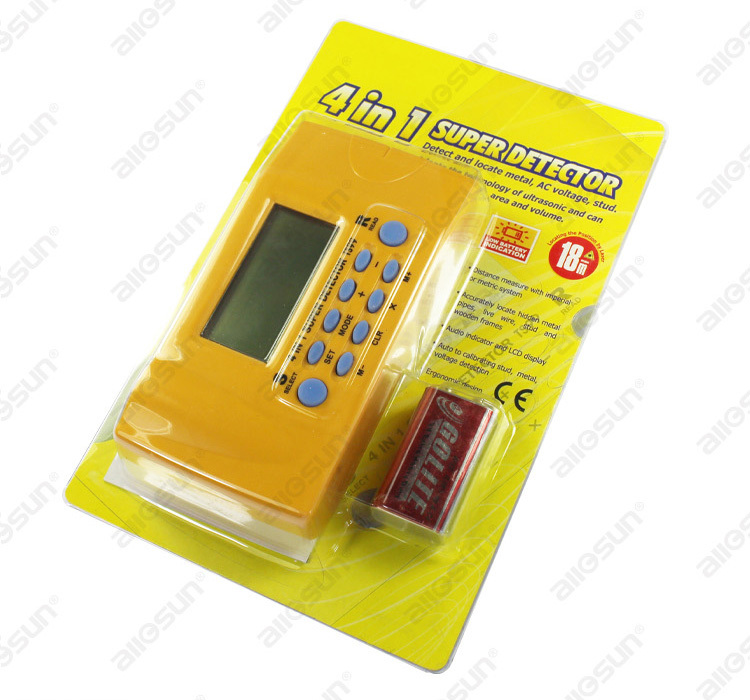 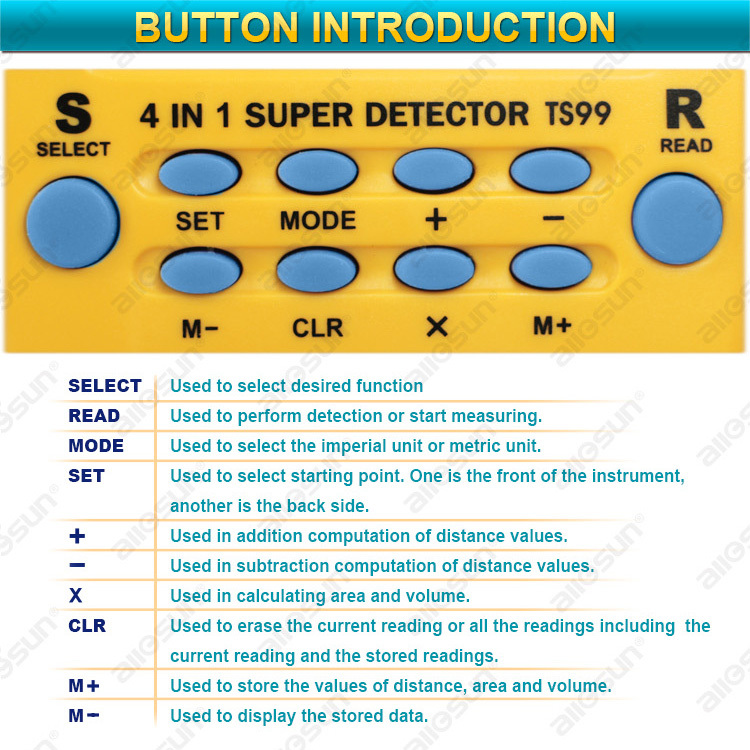 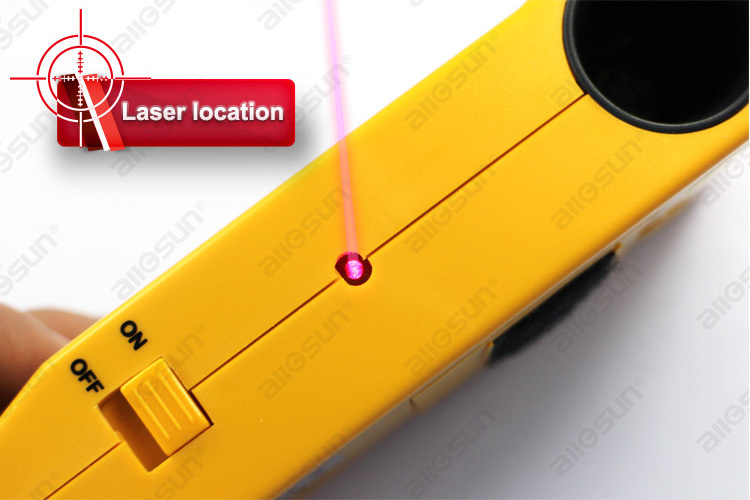 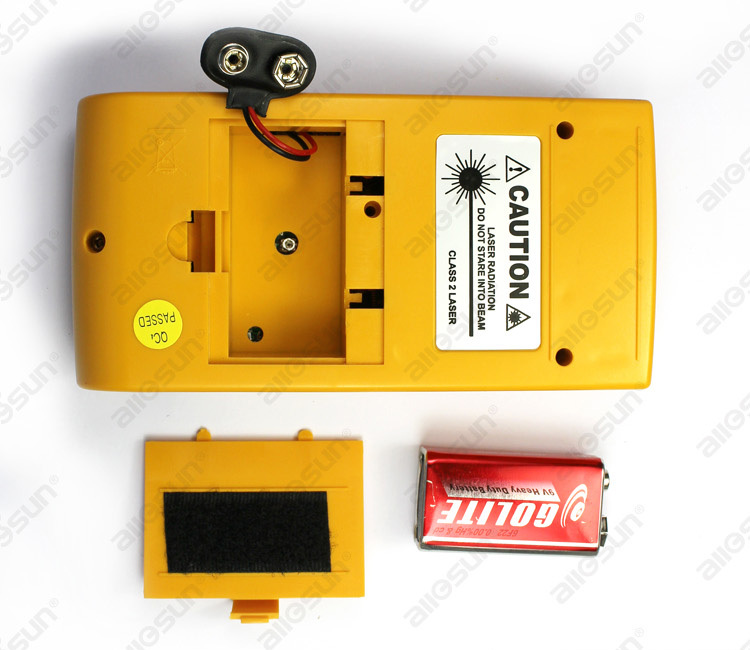 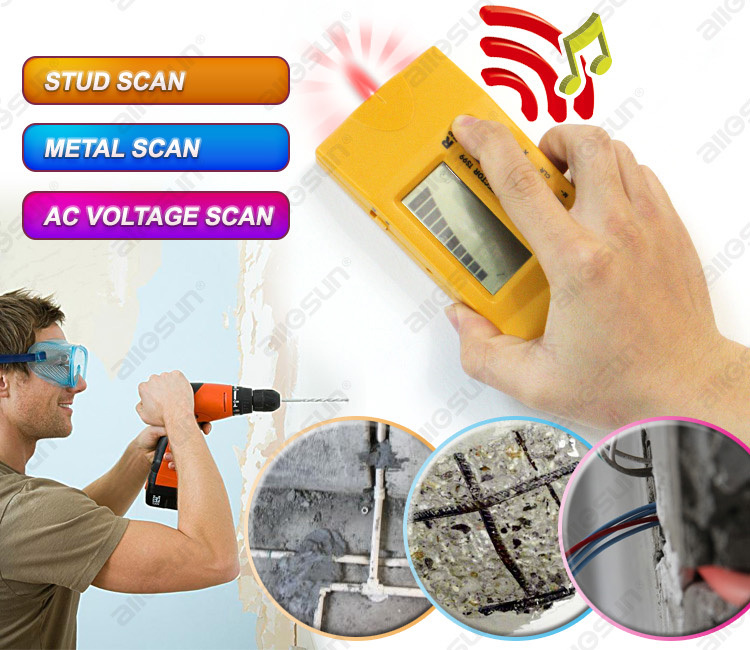 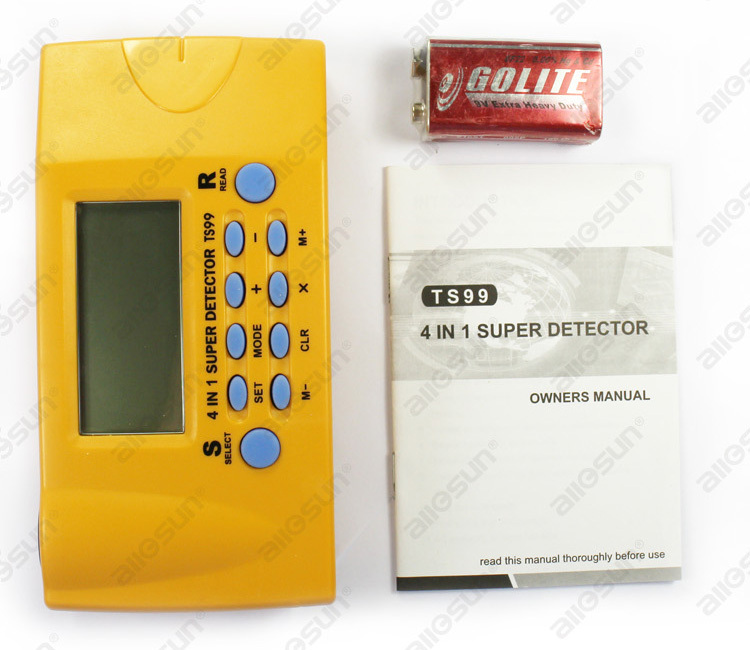 In addition, It can detect and locate metal, AC voltage, stud. 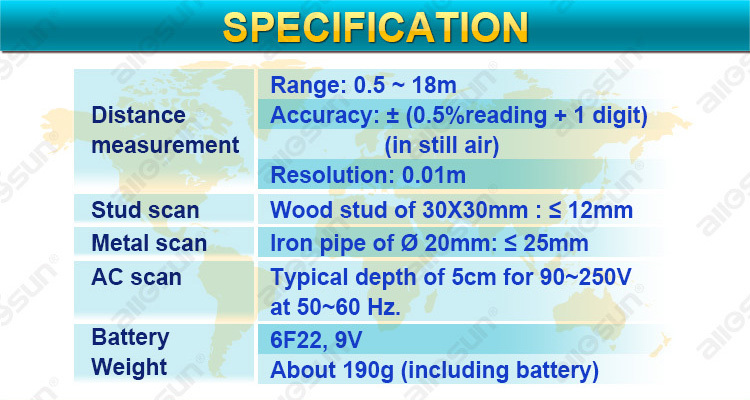 It can be used in construction, fitment, etc.